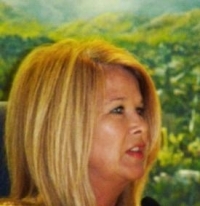 December 19, 2012 (El Cajon ) –The Mother Goose Parade wasn’t the only beneficiary of funds stolen by former El Cajon Councilwoman Jillian Hanson-Cox, who pled guilty to embezzling more than $3.6 million from Century Design, Inc (CDI), her former employer. Court documents reveal that she also spent purloined money to hire celebrity impersonators to appear at her campaign fundraiser in 2004. She treated the city’s former Chief of Police to a vacation at a Hawaiian resort hotel. Plus she hosted city public information officer Monica Zech at a Beverly Hills hotel, including manicures and other spa treatments. She bought an artificial lawn for her mother’s house and landscaping at her own residence. She also expensed lavish sums on personal indulgences, such as $26,000 in spa services and manicures, $67,000 at Nordstrom’s and large sums to purchase a Porsche, a Harley Davidson motorcycle, and a boat with trailer. The Honorable Michael M. Anello sentenced Hanson-Cox to 30 months in prison and ordered her to make restitution to her employer and to the IRS for back taxes, since she failed to report income. Some 100 community members sent letters urging the judge to be lenient in sentencing and/or to consider Hanson-Cox’s formerly good record and generosity in supporting the community and various charitable groups. Now, U-T San Diego reports, some of those letter writers are having second thoughts after learning the extent of the former Councilwoman’s crimes. “I wouldn’t have written that letter, had I know these things,” Mayor Mark Lewis told the U-T. Councilman Bob McClellan also wrote a letter supporting his former colleague on the council. Zech also wrote a letter supporting Hanson-Cox, but later said she would not have done so if she'd known how the misappropriated funds were used. "In reading the court documents I now see there was a lot more information that I was not aware," she told the U-T. "This has made me both sad and disappointed.” Zech may also have violated requirements for public officials to report gifts to the Fair Political Practices Commission, an FPPC official told the U-T San Diego. Support letters by city officials seeking leniency for Hanson-Cox led to outrage by Robert J. Basso, former owner of CDI, who says he had to sell the company at a reduced value and could not afford raises for his employees because of the money Hanson-Cox stole. At a council meeting this week, Basso railed against those who wrote to support the former Councilwoman. Councilman Gary Kendrick agrees. “Jillian Hanson-Cox, was not the person I thought she was. I had always seen Jillian as a very warm-hearted, caring and honest individual. The documents now on file in the federal district court convincingly show that she is just the opposite,” he wrote in a reader’s editorial published in East County Magazine.